Well, this is no fun! Yeah, working for a living? Leaves much to be desired. And by this I mean: working at the Day Job. At the beginning of March, I increased my hours to full-time. Technically full-time; actually 32 hours a week, which is what I was doing before my year-long side-trip to Scary Medical Adventure Time Land. So, back full-time. It’s pretty exhausting, even at 32 hours; and more so as I’m trying like crazy to integrate a writerly work-week in there. My doc says that what I’m looking at right now is no longer the side-effects of treatments, but simply the fact that I’m totally de-conditioned. I’ve done not much of anything physical for a year, and she and I agree that I just have to dig in and get my strength back. It won’t happen overnight. My favorite exercise is just plain old walking — and I do wish the weather would cooperate on that! But until Spring stops cosplaying as Winter, I’ve got the gym, and this extra-long corridor with staircases in the building where my writing office is. But — I’m just impatient. I’d like to have more energy… but the only way to get it is to do it, and be resigned to feeling extra tired, until my physical condition catches up with demands. Not complaining, just reporting (as I used to say to my nurses when they did something that made me go “Ouch!”). I’ve been trying to use my three-day weekend as a three-day second work week — mostly attempting to ignore the world at large, and dig in to my various writerly tasks. But what I do need most at the moment is actual exercise, including strength training, and it looks like I’ve got to devote some serious time to that. I think things will shake down in the next couple of months. But I do wish that the months would not fly by so very quickly! It’s organized by Chad Orzel (of Dog Physics and Eureka! fame), and Emily Edwards and Steve Rolston of the Joint Quantum Institute, and will be held right there at JQI. The whole idea is to help us writers to actually know what we’re talking about when we reference quantum mechanics in our work. Come on, there’s a lot of bad science being promulgated out there, folks — don’t you want to get it right? Here’s your chance — a workshop with actual experts telling us exactly what we most need to know. It’s not too late to apply — appplications are being accepted through March 20th — that’s tomorrow. So, read about it. Fill out the form. Let’s see how many of us can get there this year. I cannot measure how much joy this man’s writing gave me. Endless joy. Well, actually, any ring shaped like a mobius band will do. And there are plenty of them around. 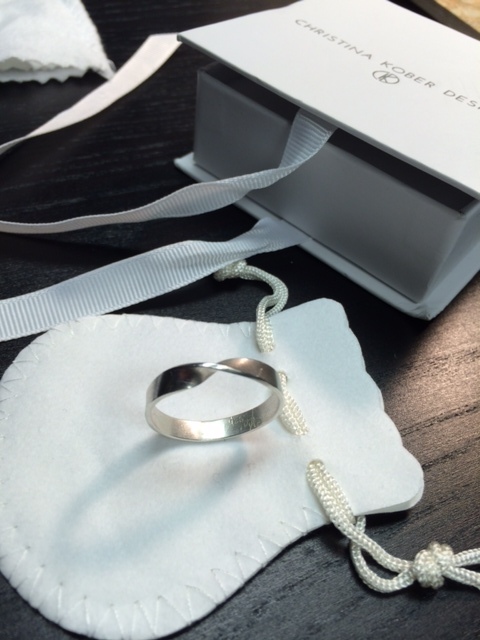 But a few years back, when the ring I was wearing got to be too tight too often (combination of age and intermittent general hand-swelling from much usage), I searched high and low and near and far, scouring the web for the perfect replacement. I wanted something sturdy enough to wear every day, that really featured the half-twist, and was not out of my price range. I knew I’d have to pay more than just a few bucks, if I wanted quality, but there was a limit to how high I could go. And this is what I finally came up with. It’s by Christina Kober Designs, and it’s available on Etsy. The band is slightly matte, the edges shiny. The price is $96, which is more than I’d ever normally pay for a ring. I’m just not a self-decoration person; never have been. But there are a few things that I love, and want to wear all the time. And considering that I would wear this ring every single day, it was a reasonable investment. I love it. 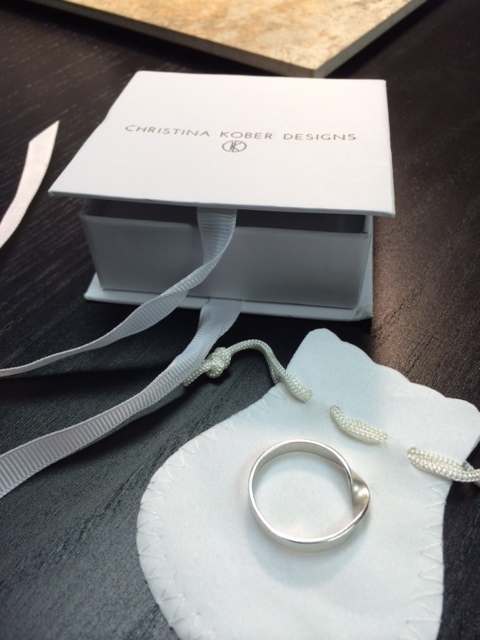 In fact, when this year my ring size went up yet another half-size (because: life), I did not hesitate. Plunked down another $96. I gave the old one to Sabine — and actually, that one is the very ring that appears on the cover of the ebook of The Steerswoman. But as I say, any mobius-band ring will do, if you want to get that Steerswomanly feeling. The very first one I had cost maybe twenty bucks. It broke, eventually, however. So: unsolicited, unpaid testimonial. 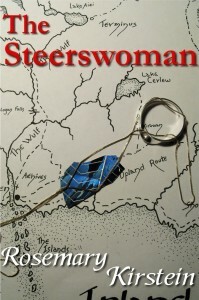 If there can be such a thing as an official steerswoman’s ring, this would be it. In other news: I’m back from my retreat-while-staying-in-place. Other other news: I need to do it again this weekend. It’s exactly what I need to do. Think I’ll do it every weekend this month. Chad Orzel’s take on Robert Frost. What’s especially interesting is how well it works. Seriously, go check it out. I’m spending three days just hunkering down and just trying to get my head wrapped around the story. Deconstruction/reconstruction. Disengaging from everyday stuff long enough to get sight of the sweep of the story. So, I shall be a bit quiet until, oh, Tuesday or thereabouts. Call it a writer’s retreat without me actually going anywhere. See you in a few. Meanwhile, in the tradition of my posts from undisclosed locations while trying to write, I may drop a photo in every now and then. Like this. Here’s a spooky pic from the roof of my office. 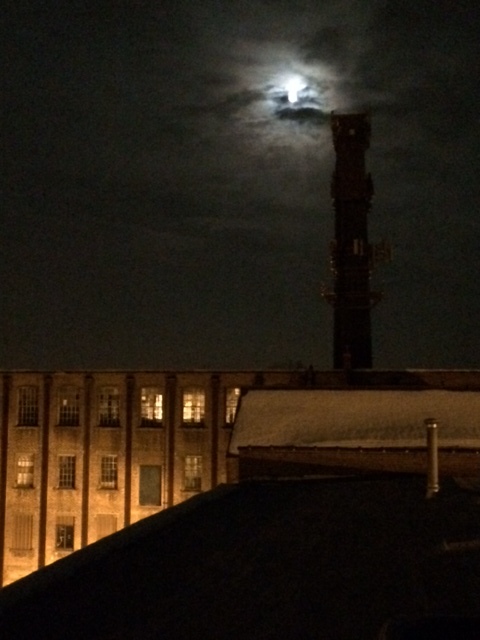 There’s a whole complex of old factories and warehouses, now converted — this is the former smokestack (now a handy cell tower), the moon, an odd cloud, and the building next door. Via secret access to the roof. On Thursday, they took out my portacath. I had not known this was an option! “Yes, I would!” I said definitely. I think my enthusiasm took took him aback. But, yep, I now possess, outside my body, a thing that resided inside my body for 15 months. This object did a stellar job for all that time, sparing my arm-veins from the repetitive damage of regular (sometimes weekly) chemo infusions. Implanted under my skin, with a catheter leading to my left subclavian vein, it has a self-sealing silicone dome that allowed the nurse access with just a little needle prick through my skin and into the dome area. They could draw my blood for testing, and pour in those mighty chemicals — no muss, no fuss. It made my life a whole lot easier. Great invention. I figure, I’ll get one of those old-fashioned bottles, like the ones they used to use in natural history collections, stick it in, seal it with sealing wax — voila! Artifact from my chemo days. All in the past now.